How do you measure your on time delivery performance? 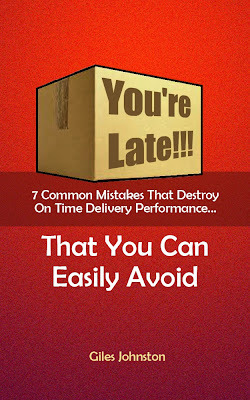 Many businesses measure their on time delivery performance by counting how many orders leave their business on the same date / time as agreed with their customer. There is another way, a way that can help you to pin point where and when things aren't working properly. By measuring the start of the process you increase the chance of the process delivering on time (as in, you rarely catch up when you start late!). It's a small change in perspective when it comes to measuring on time delivery, but it gives you a chance to correct things before it is too late. Of course you can still measure the output, but by placing your focus on the start of the process you not only increase your chances of delivering on time but start the conversation around what needs to happen in order to launch your processes properly. The final results won't turn up by magic, but they can appear with a lot less effort when you take this approach.